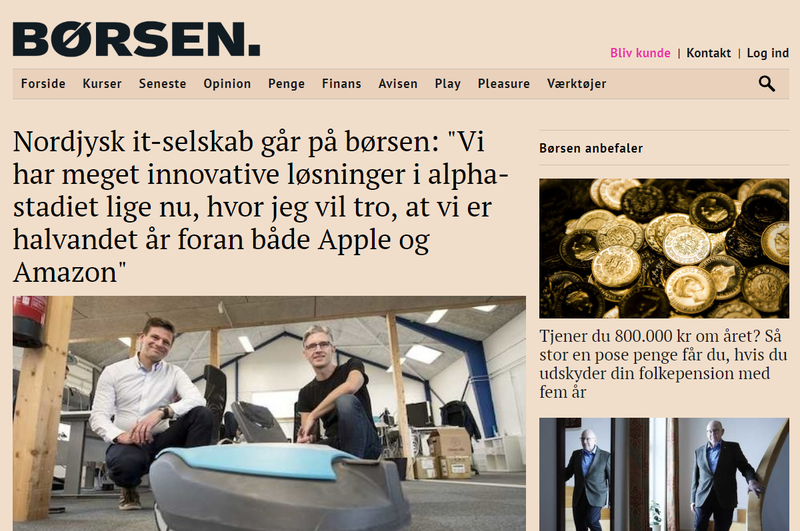 The leading Danish business newspaper, Børsen, picked up on a the excitement of Seluxit's upcoming IPO with a provocative headline. Seluxit CEO Daniel Lux's words in the headline of the article (in Danish): "We have a very innovative solution in an alpha phase right now, where I'd think we were a year and a half ahead of both Apple and Amazon." But the article also paints a picture of an economically sound company with a solid growth plan.